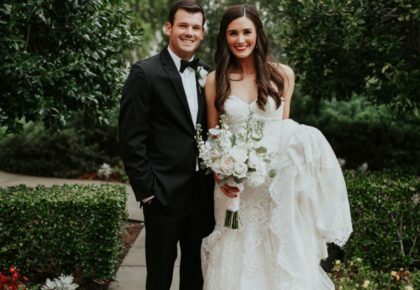 There were so many fabulous details from Tanna and Chris’s dreamy white wedding that it was hard to share only a few of our favorites! New Leaf Florists went above and beyond to create lush wedding centerpieces, bouquets, aisle markers and arrangements, and the room seemed to glow with warm lighting from Innovative Event Solutions! To achieve the “Eclectic Elegance” look she had dreamed of, Tanna worked with her wedding planner Bea Penhall of About Last Night…Event Planning and Marianne’s Rentals for Special Events to mix and match six different textured and patterned linens and four different chair styles and treatments. After an amazing evening, the couple made a grand exit followed by trombone players in “New Orleans” fashion running through sparklers. 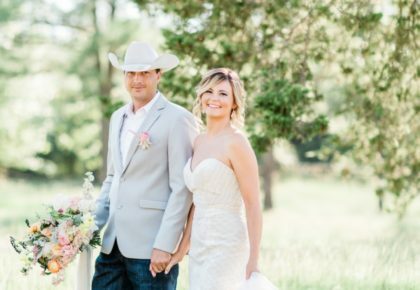 They then boarded a private jet and were whisked away to their honeymoon destination — amazing! Doesn’t the bride look stunning in her fur coat and gorgeous makeup from talented makeup artist Jennifer McLaughlin!? Love! 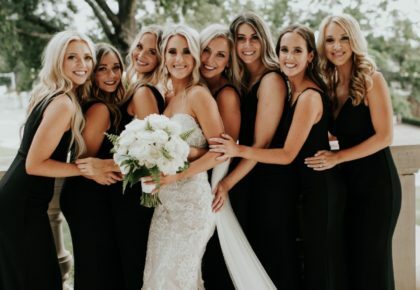 Thanks to Oklahoma wedding photographer Aaron Snow Photography and Oklahoma wedding videographer Von Wedding Films for capturing each beautiful detail and special moment from this lovely affair! 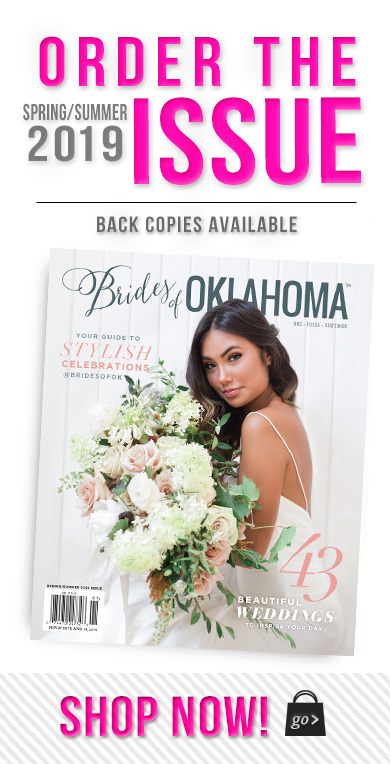 Pick up a copy of the Spring/Summer 2013 issue of Brides of Oklahoma to see more from Tanna and Chris’s beautiful wedding.